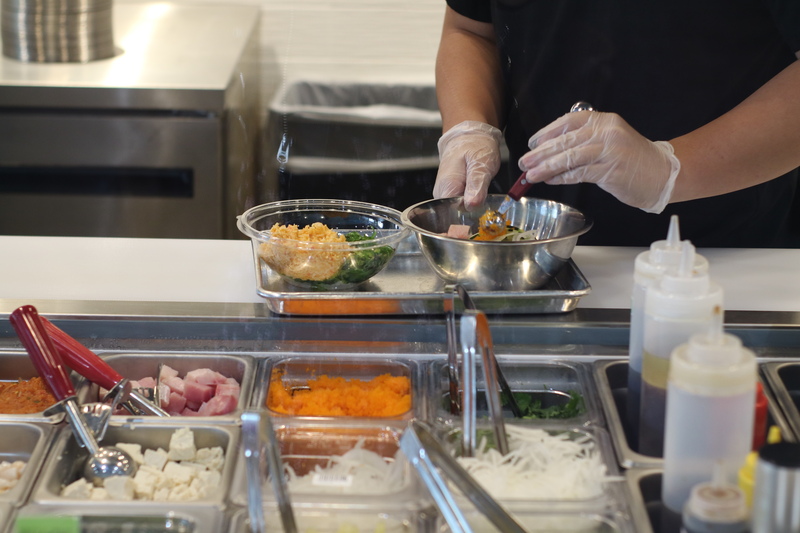 It&apos;s no secret that poke bowls have been gaining immense popularity in the past few years. 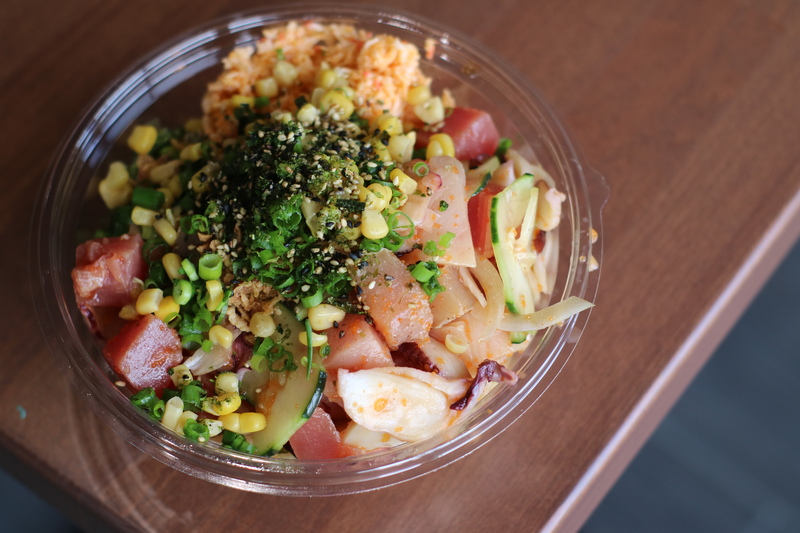 Poke Me which has established its roots in Los Angeles with three locations, is now opening its first location in Orange County right here in Irvine at the Heritage Plaza Shopping Center. 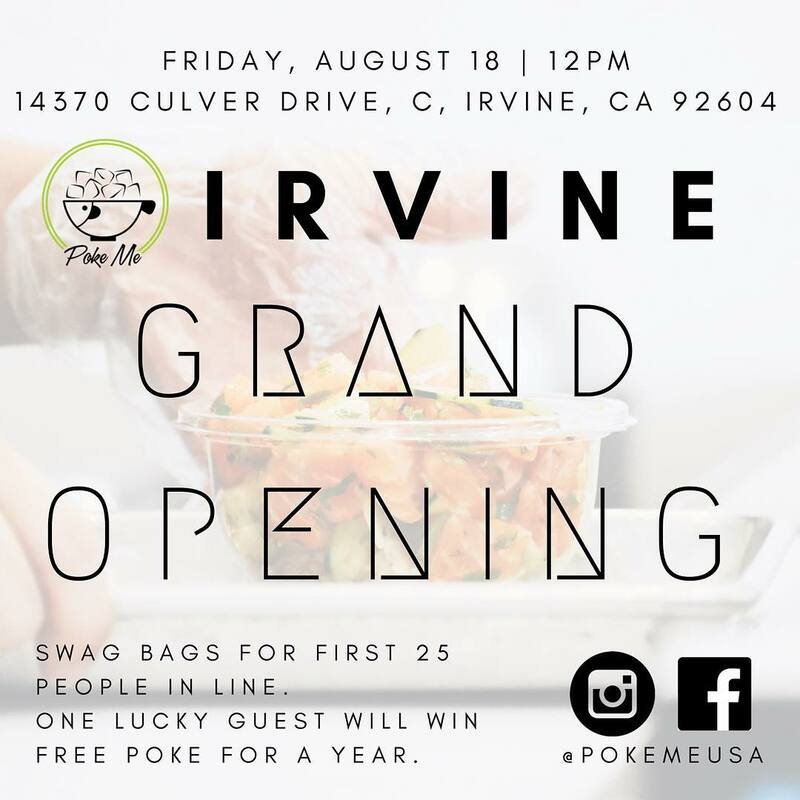 Currently in its soft opening stage (so yes, stop in and try the Poke Me goodness), Poke Me Irvine will grand open its doors on Friday August 18th 12pm with a kick off celebration! The first 25 guests will receive swag bags full of goodies -- including Poke Me gift certificates. 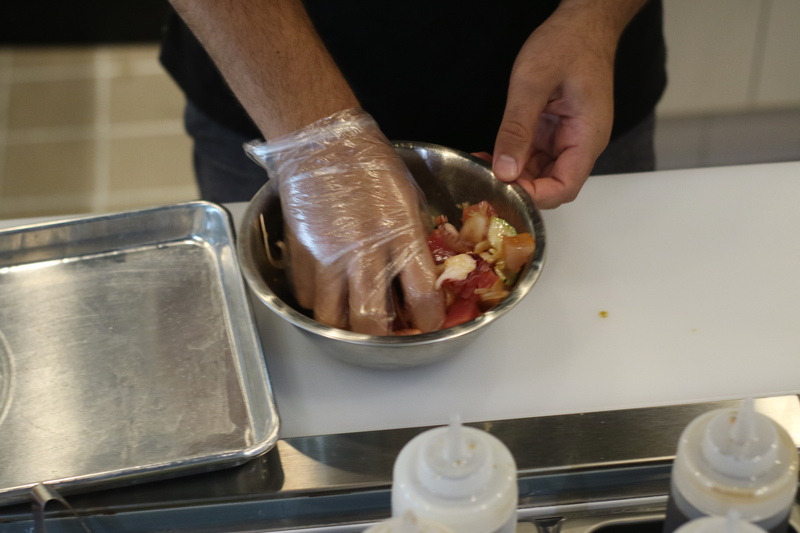 And One lucky guest will receive a gift bag with FREE POKE FOR A YEAR - yes you read correctly, free poke for a year, so to all the poke lovers out there, you won&apos;t want to miss out on this opportunity. I stopped into Poke Me this week to see what the rage was all about, and it definitely lived up to its Angelenos reputation. So what sets Poke Me apart from other poke spots? 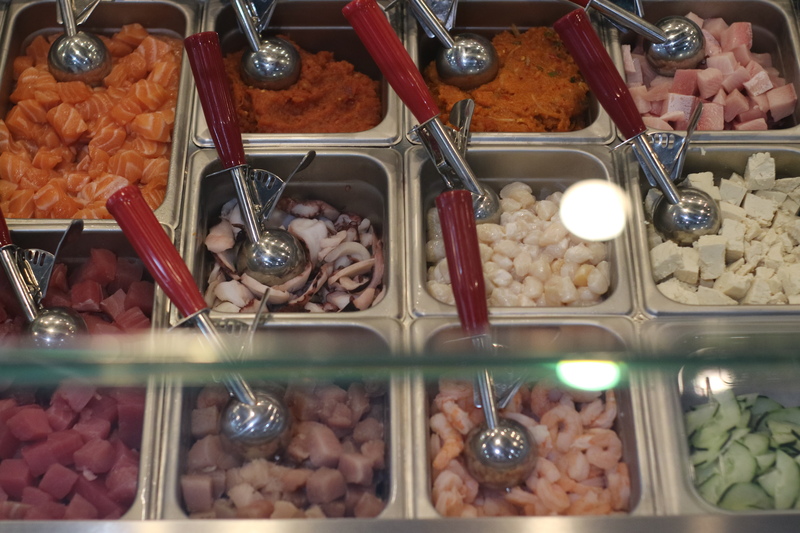 There is a wide variety of fish and shellfish such as tuna, octopus, scallop, shrimp and salmon that is specially curated and obtained by their in-house chef to maintain a fresh and high-quality standard for their protein options along with their other ingredients that make up a poke bowl. There are also options to create a vegan bowl! Along with the range of protein available, I was blown away by the diverse selection of housemade sauces, with Truffle Ponzu being one of their fan favorites. While in the queue, you can taste test the fish or shellfish with the different types of sauces to ensure you love it before having it mixed into your bowl. 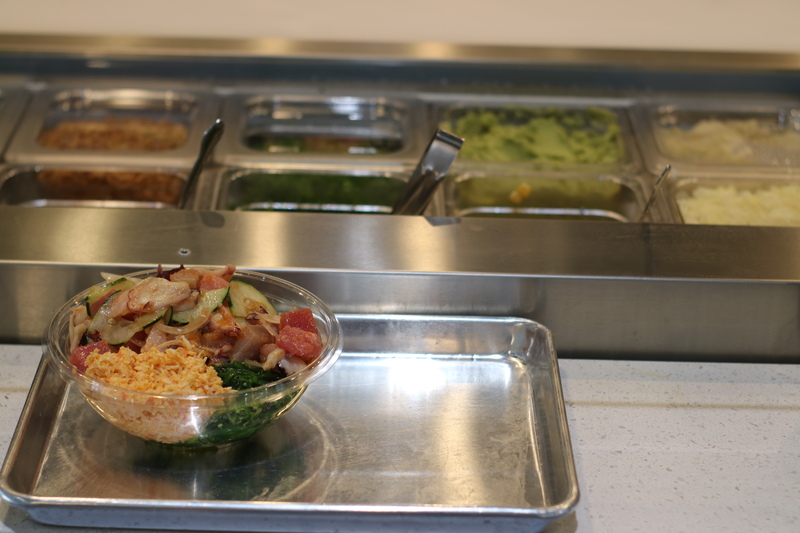 At the very end of the queue, you are greeted by a self-serve toppings/garnish station - yes, self serve! Everything from masago and tamago to jalepenos and green onion, you can load up your bowl with as much as it will hold. For my bowl, I started with white rice, selected seaweed salad and spicy crab for my two sides, had a mixture of tuna, albacore, octopus and yellowtail with a sweet and spicy ponzu sauce (of course, I had to get the truffle ponzu on the side), and finished the bowl with crispy onion, green onion, corn and kizami nori (dried seaweed shreds). Hungry yet? 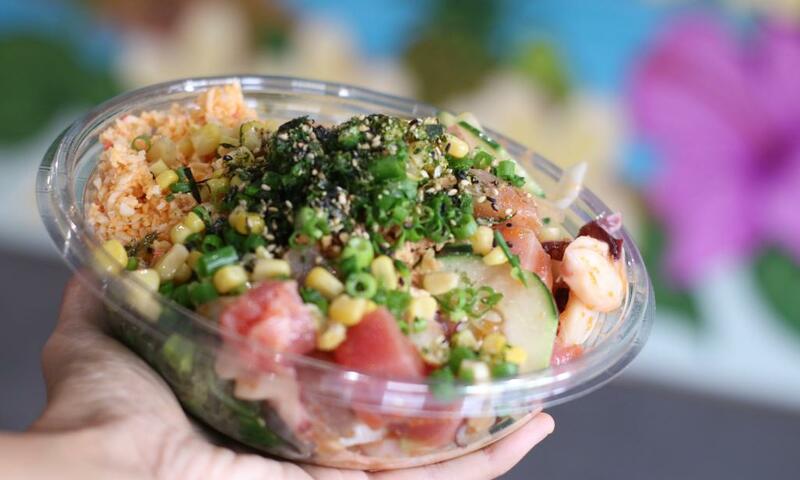 Click here to visit Poke Me&apos;s website and be sure to click on Menu to see their offerings.